Geography: Eastern, Norfolk. Most of South Norfolk council area. Main population centres: Diss, Harleston, Loddon, Long Stratton, Cringleford, Hethersett, Poringland. Profile: A triangle of rural Norfolk between Norwich and the Suffolk border. This is a picturesque wedge of the Norfolk Broads, made up of small market towns and villages and running up to commuter villages just outside Norwich itself. The seat also includes the Lotus Cars base in the former RAF base at Hethel. Politics: This is a safe Conservative seat, while the Liberal Democrats advanced at a local level for a time in the 1990s it never translated into a real challenge at the Westminster level where the anti-Conservative vote remained heavily split between Labour and the Liberal Democrats. In 1950 a former MP for the seat, Peter Baker, was the last MP to be expelled from the House of Commons, having been convicted of fraud and forgery. RICHARD BACON (Conservative) Born 1962, Solihull. Educated at Kings School Worcester and the LSE. Former communications consultant. Contested Vauxhall 1997. First elected as MP for South Norfolk in 2001. RICHARD BACON (Conservative) See above. JACKY HOWE (Liberal Democrat) Contested Norfolk South 2010. CATHERINE ROWETT (Green) Educated at Cambridge University. Philosophy professor. Deborah Sacks selected as Labour candidate. need fewer candidates from ‘private’ schools. John Major is partly right but he is also partly barking up the wrong tree. It can be argued that being from a political ‘elite’ doesn’t necessarily make one ‘elitist’. The thing I find strange is that the Conservative Party now appears to be more obsessed about people’s backgrounds than Labour was in the 1980s! We also need to stop using the term ‘Liberal elite’ which certain right wing people are obsessed with. The success rate must be very low. It’s lower, but much of that is due to the strongest female candidates going for AWS seats. A lot of the rest is down to the problems we still have in getting female candidates, which is proving to be a fairly intractable problem. The Lib Dems took a big hit in the 2007 council elections, but came out of the 2010 General election more or less unscathed in South Norfolk. In 2011, they were hit even harder. Key question: Will 2015 see them once again shake off their downward trend on the Council or will this be the final unwind? The Lib Dems will also have the benefit of local incumbents also standing for re-election in the District elections on General election day. An efficient ground campaign in Old Costessey, Earsham, Ditchingham & Broome and Stoke Holy Cross i.e. where they are strong may help to culminate in additional support for a potentially unknown parliamentary candidate. The Results projection seems reasonable. The Lib Dem share may fall by another 2-3 points, but this looks realistic. This may be one of the least fruitful areas for UKIP in Norfolk outside Norwich, I suspect; lacking any of the slightly battered population centres like King’s Lynn, Thetford, and Gt Yarmouth. Needless to say Bacon has this seat sewn up pretty much until kingdom come and generally seems a pretty responsive MP and a good constituency fit. 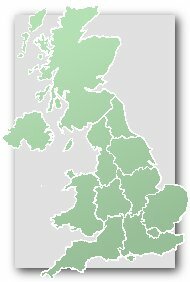 For LD to make any push into the thirties here they’d have to be fighting someone who fitted the constituency less well, be in a wave year, and perhaps actually take places like Diss, which barring an exceptional candidate isn’t likely to happen within the next few of election cycles I imagine. This is one area of Norfolk where the Lib Dems have probably now missed the boat. They had realistic chances here to win I think in 2001 and 2005, but after the disappointing standstill result in the latter year, I think they knew the game was up for them. If they sink back in the next few elections, the Tories could be looking at five figure majorities evermore again just like in the 80s. Yes that’s clearly the case. Interesting about Broadland- that seat could be close for the Lib Dems in the future, I think it’s favourably drawn for them in comparison to the old Mid Norfolk, where they’ll probably never have much of a chance I don’t think. Overall, I would guess longterm they’ll have to focus on holding North when Lamb is no longer the incumbent, and perhaps target here and Broadland in 2020, while looking to rebuild some kind of strength in Norwich South, which may never happen. 1885-1918: The Sessional Divisions of Depwade, Diss, Earsham, Loddon and Clavering, and Swainsthorpe. 1918-1950: The Urban District of Diss, the Rural Districts of Depwade, Forehoe, Henstead, and Wayland, and part of the Rural District of Thetford. 1950-1974: The Municipal Borough of Thetford, the Urban Districts of Diss and Wymondham, and the Rural Districts of Depwade, Loddon, and Wayland. 1974-1983: The Municipal Borough of Thetford, the Urban Districts of Diss and Wymondham, and the Rural Districts of Depwade, Forehoe and Henstead, Loddon, and Wayland. 1997-2010: The District of South Norfolk except the wards of Cringleford and Colney, and New Costessey. 2010-present: The District of South Norfolk wards of Beck Vale, Bressingham and Burston, Brooke, Bunwell, Chedgrave and Thurton, Cringleford, Dickleburgh, Diss, Ditchingham and Broome, Earsham, Easton, Forncett, Gillingham, Harleston, Hempnall, Hethersett, Loddon, Mulbarton, Newton Flotman, Old Costessey, Poringland with the Framinghams, Rockland, Roydon, Scole, Stoke Holy Cross, Stratton, Tasburgh, and Thurlton. Tory Cllr Des Fulcher has defected to the Liberal Democrats here. It leaves the Council: 46 Cons, 7 LDs.